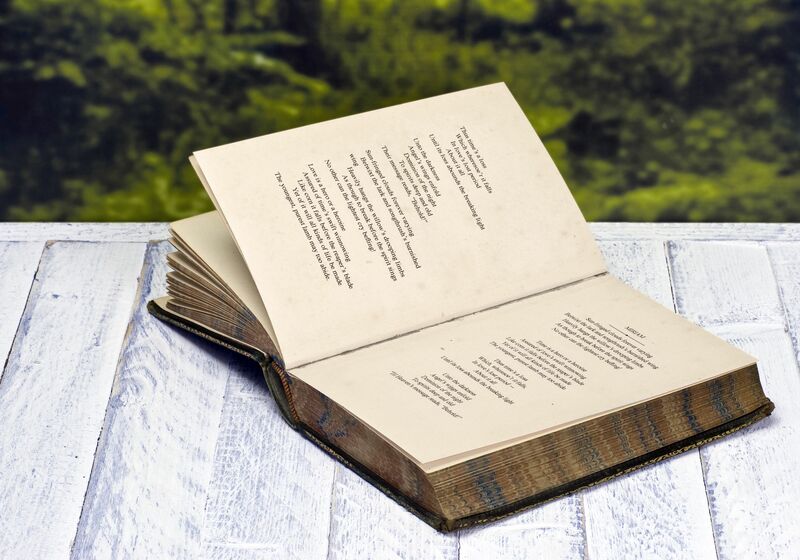 During National Poetry Month and all year long, try these fun exercises with students of all ages to encourage a love of poetry. You can build students’ reading and writing skills, as well as their attention and focus, by encouraging a love of poetry throughout the year. This is well worth the effort, especially since poetry can also be a great medium for emotional expression and understanding. An easy way to get started with the genre, even if you’re not ready to include it all year, is to participate in National Poetry Month in April. Taking part in this event has the added benefit of connecting students to a wider community in a positive way—something many of us would agree is vital in a mobile society that can often feel fragmented. How to begin? Try these five fun and simple ideas, which are customizable across grade levels. And if you’re looking for a way to provide an added sense of authentic experience, consider having students submit their poems to contests or journals. For most people, food is top of mind. And some teachers are quick to remind us that when food is included in teaching materials (even if it’s just pictures of food), kids are more likely to be interested in and remember lessons. Enter Potluck Poems. With younger students, you can read a food poem each day and then use the same foods (real or representational) to tackle the day’s math, science, or history lesson. You can send older students in search of food poems. They can read their chosen poems aloud and add them to a poetry wall or class “recipe book,” where you can intersperse science, history, or math facts about cooking and eating. Celebrate “Take Your Poet to School Week” (grades K–12): As a way to engage students in learning about specific poets and poems, you can participate in Take Your Poet to School Week, which happens the first week of National Poetry Month. The celebration uses illustrated collections of cut-out-and-color poets and offers ideas for many easy activities. Besides being informative, it’s a fun way to connect with a wider community across the nation. Library Treasure Hunts (grades K–12): Using the cut-out poet pictures discussed above, children can create a treasure book of their favorite poets by pasting the images onto pages and binding the pages together. You can create a library treasure hunt using their chosen poets and make a game of guiding them to find works by these writers. There are many picture books that include famous poets’ poems—these are a great introduction to the world of poetry. Older students can create treasure books, too, by searching for treasure lines—ones they love best—in poetry books they find in the stacks. Their treasure books can be filled with collages that combine the cut-out poet pictures and their chosen lines. Many of the best poets and writers begin this way—by collecting lines and phrases over time. Poem Stacks (grades 3–12): Once, when I was feeling blocked in my poetry writing, I spent time just reading other poets. Next I taught a writing workshop using this technique, bringing books like Field Guide to Rocks and Minerals: North America, Field Guide to Birds: Eastern Region, and Field Guide to North American Flowers for participants to peruse. Who were you in my dreams? In the classroom, you can use history or math books for poem stacks. The key is to use titles that are filled with unique and specific language, so students have access to surprising, interesting words. This quickly becomes not just a writing exercise but also an exercise in curiosity about the details of science, history, math, or literature. While it may be difficult to get the news from poems, one can certainly give the news in poems. Doing so provides a sense of volition and creativity in what can feel like an uncontrollable world. Explore the poem stacks technique above (either the teacher or the student can supply the question for the poem title). Create blackout poetry by blacking out most of the words, saving only the ones that feel like a poetic expression of the news on the clipping. Sometimes these poems get quite artistic.